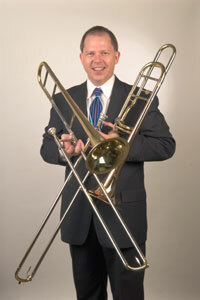 Trombone tips for students and players - Keep Going! The way to develop this skill is to play the rhythm no matter what happens. This will help you keep going even if you miss positions and notes. Rhythm builds timing, and timing is coordination. The more you become coordinated on you instrument, you will make fewer mistakes and your recovery will be faster when you do make mistakes. As your recovery skills improves, you will make even fewer mistakes by having the coordination to prevent the ones you ALMOST make.